The federal government has charged a former NFL player with allegedly defrauding investors out of more than $10 million. Merrill Robertson Jr. was arrested on Wednesday on criminal charges related to fraud, according to a spokesperson for the U.S. Attorney for the Eastern District of Virginia. The Securities and Exchange Commission also announced a civil case against Robertson. They say he and a business partner, who the SEC also sued, promised to invest money they raised but instead used it to pay for personal expenses. Robertson and his partner co-owned a company called Cavalier Union Investments LLC. According to the SEC complaint, Robertson raised funds from contacts that he had at the Fork Union Military Academy and the University of Virginia. The scheme allegedly defrauded elderly individuals, former coaches, donors, alumni and employees of the schools. Robertson played briefly for the Philadelphia Eagles in the early 2000s. He was a linebacker at the University of Virginia and majored in anthropology. According to his website, which was still active on Wednesday, Robertson "has a dynamic background in sales and financing." The complaint acknowledges that at one point Robertson held licenses to sell securities but is not currently registered as a broker. The website also boasted a client list that included "athletes, entertainers, institutions, wealthy individuals, churches and everyday people." Robertson's attorneys didn't respond to requests for comment. According to the SEC, Robertson said he would put investors' money in diversified holdings. Instead he and Vaughn allegedly spent it and used it to repay earlier investors, according to the SEC. They also purchased "cars, family vacations, spa visits, luxury goods, educational expenses for family members, and a luxury suite at a football stadium," the complaint said. 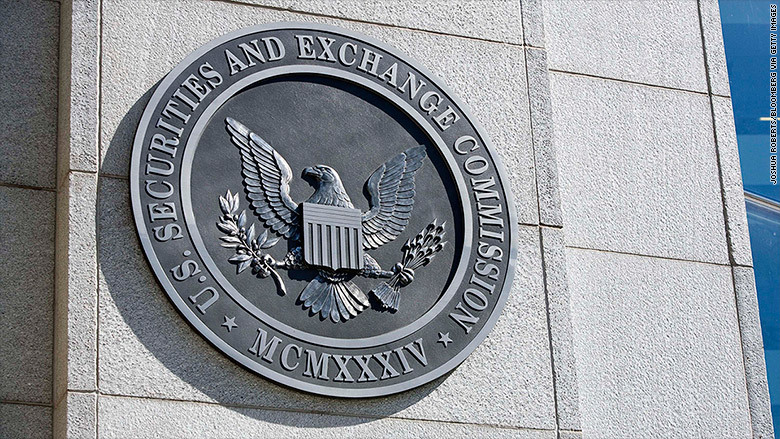 The SEC claimed the pair lied about employing advisers. "[I]t did not have any funds or investment advisers and was functionally insolvent shortly after it was formed," the complaint said. The only investments made by Cavalier Union Investments were restaurants that failed by 2014, the government said.